The format of American Idol this season will be a bit different, with a Las Vegas round added and the semi-final round trimmed down. Alan Sepinwall has a good rundown of those changes. It sounds like Steven Tyler will be an incoherent addition to the judging panel. 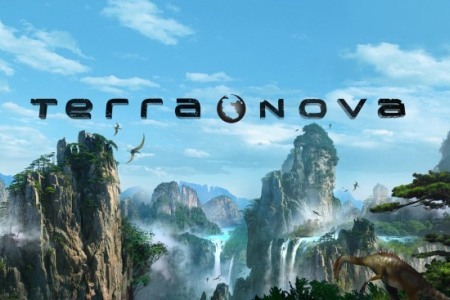 The new, long-gestating sci-fi series Terra Nova from executive producer Steven Spielberg finally has a premiere date: Monday, May 23. The second hour of the pilot will air Tuesday, May 24, and the show will then be held until the fall, in a similar fashion to the first season premiere of Glee. Lie to Me still has a chance of returning for a fourth season, despite not receiving a back-nine pickup, according to Reilly. Raising Hope was renewed for a second season, making it the only success story of FOX’s crop of new fall shows. House and Bones, while not officially renewed yet, should be back next season. This entry was posted in News and tagged Alan Sepinwall, American Idol, Bones, FOX, Fringe, House, Jennifer Lopez, Lie to Me, Lone Star, Raising Hope, Running Wilde, Ryan Seacrest, Steven Spielberg, Steven Tyler, TCA Press Tour, Terra Nova, TV. Bookmark the permalink.